Technai is the plural of the Greek word techne. Techne means at the same time technique and art. Artists are also technicians and technicians are also artists, because in both cases their work involves a method; it implies, therefore, knowledge, practice and theory all at once, and mindful participation in what one is doing. 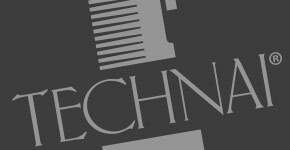 Techne is not the mere execution of someone else’s projects, not to be shared and perhaps not even to be understood by the person doing it, nor is it pure creativity without rules. Men possess many technai, learned from experience. Weaving, medicine, gymnastics and music are all technai, as is the conception and creation of machines. Possessing a techne means knowing how to use technical procedures that have been intimately understood, driven by one’s trust - almost certainty - in carrying out the work undertaken at best.